It's tough getting a game console for Christmas, because, sometimes, you get the wrong one. 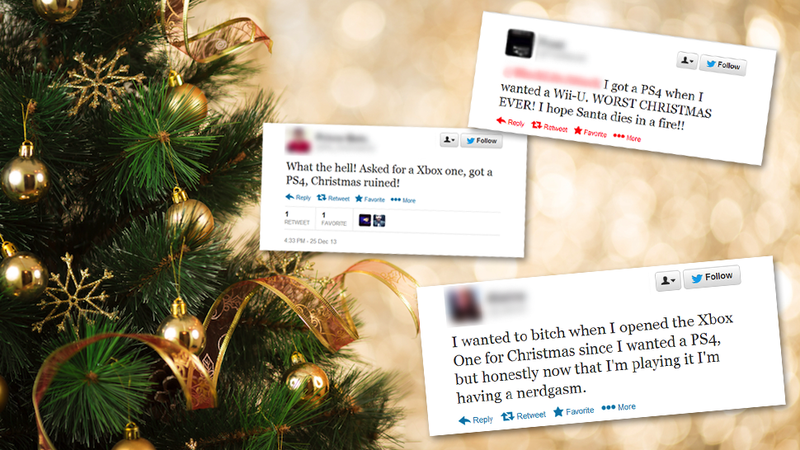 Given that the PS4 and Xbox One were two of the hottest gifts for this year's holiday, Twitter is now full of people talking about the consoles. In many cases, they're talking rather grumpily about the console they actually wanted. We hope you had a happy holiday, everyone! At least, a happier one than some of these folks did!